Jules Hudson takes a look back at the best Welsh properties featured on past programmes. Also, he gets a guided tour of Port Merion and visits a working slate mine. 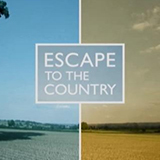 Escape To The Country was broadcast on Seven at Saturday 5 January 2019, 23:39.